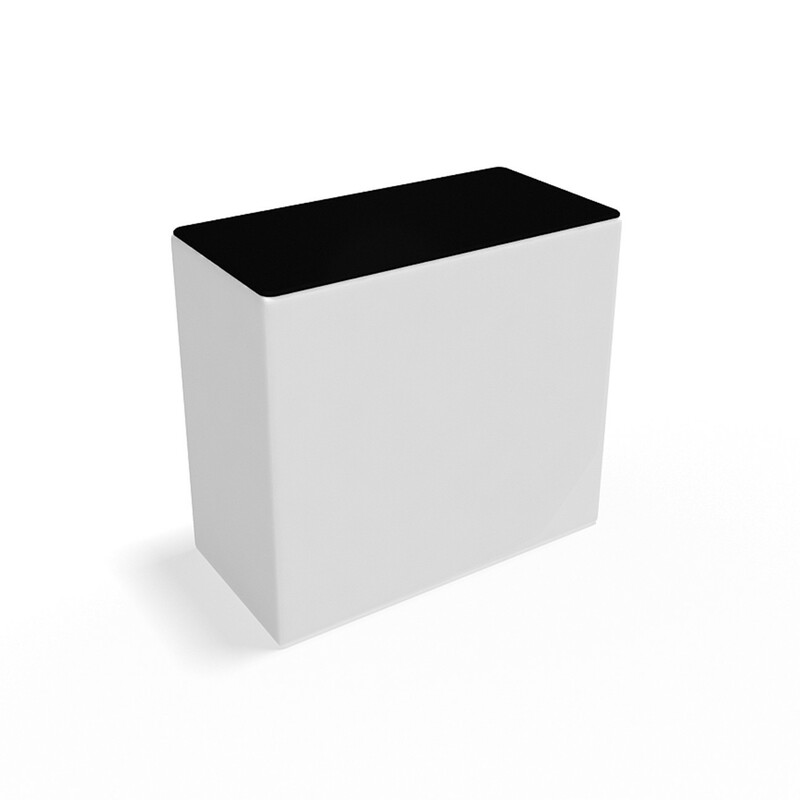 get a quote for outdoor display package 12 from one of our authorised resellers. The Alfresco brand delivers top of the range, affordable assets to give your outdoor execution presence. The Textiles Alive New Zealand made products include flags, outdoor events signage, pop-up displays, bars, counters, branded structures, fixtures, outdoor signage and furniture. 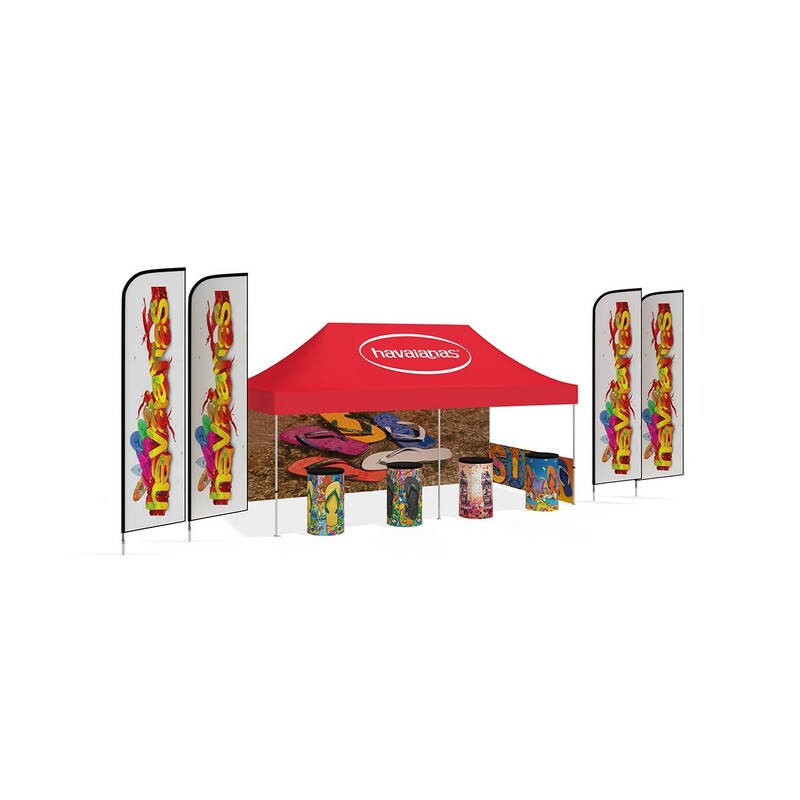 Flags are generally the first thing that comes to mind when you think outdoor signage although with access to a wide range of alternate outdoor display options building an event kit or designing an outdoor engaging space is made easy. 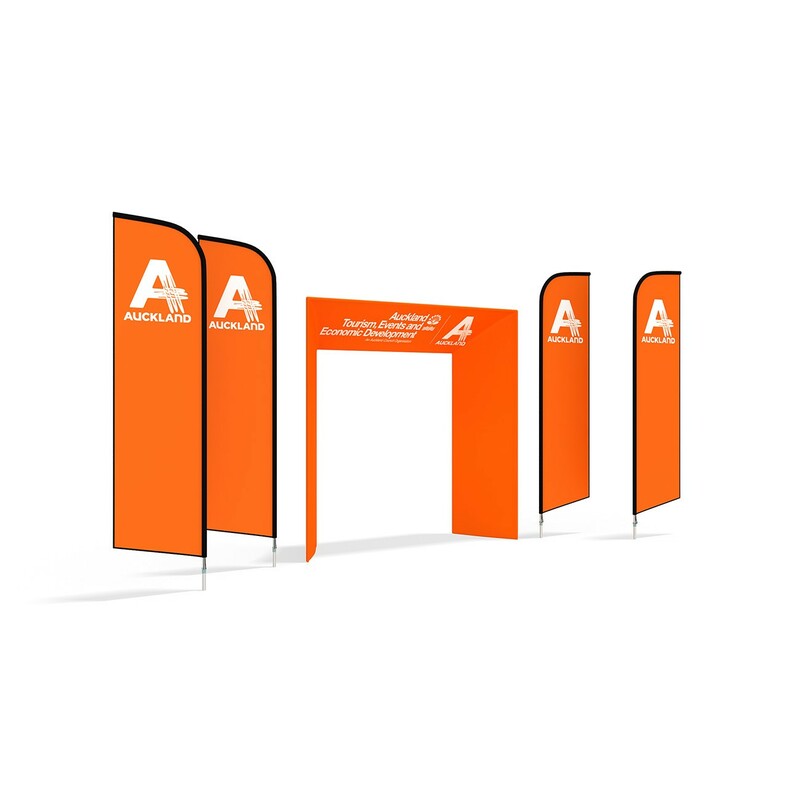 Our outdoor display range includes numerous different flag types, most with multiple size options and each with a handful of finishing options. 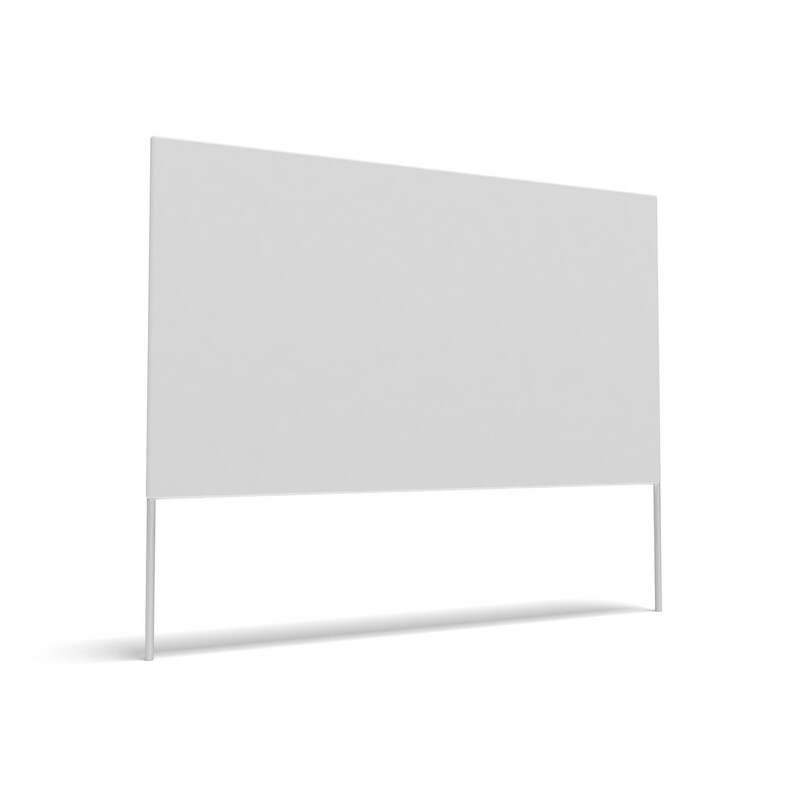 There are also a range of different types of flag bases available, including wall mounts, tow-bar mounts, stakes and base plates to name a few. Although flags are arguably the most common type of outdoor display the trend is changing with an ever increasing demand for new vehicles to deliver outdoor signage and display options. Our popup display options include towers and counters as well as traditional inflatable furniture pieces, like chairs, ottomans and couches and branded bean bags in multiple shapes and sizes. All can be branded or brand aligned by full-colour graphics to deliver cohesion of your brand at your next experiential event. The outdoor signage range covers everything from potable billboards, fence wraps to bunting, showing that size and scale is not an issue. Branded event billboards and breeze barriers are a great functional product that can double as a messaging and branding outlet. 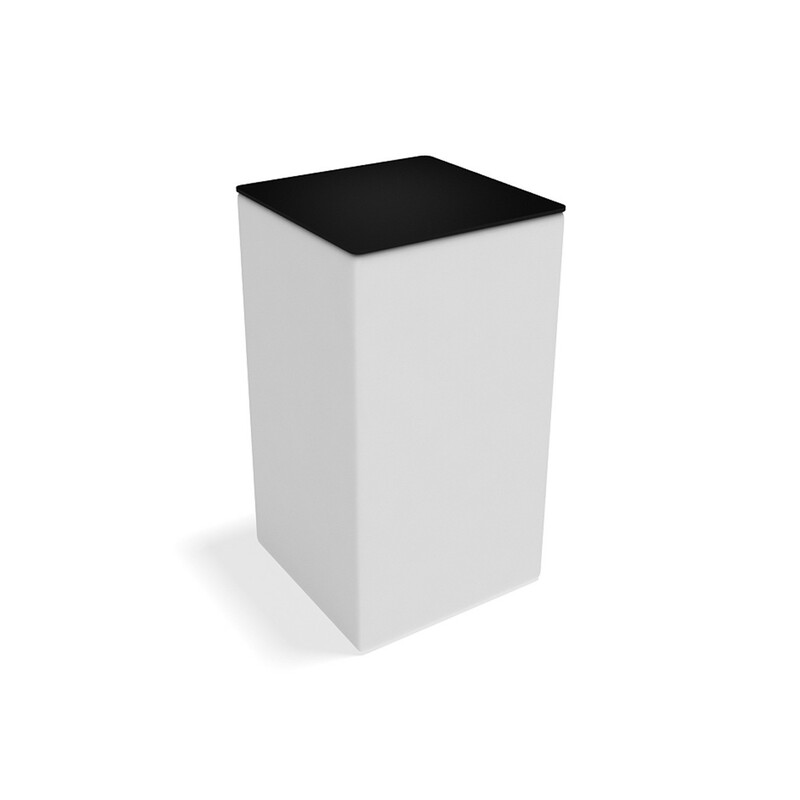 These are perfect for sponsors displays, logo walls, crowd control barrier branding or more in-depth copy pieces especially if they are positioned in places where lines will form. When looking at options for protection from the elements a range of branded structures are available. These are available in traditional forms and the recently more popular inflatable options and provide you with numerous possibilities that will work with both your functional and aesthetic requirements for your next outdoor exhibition or event. 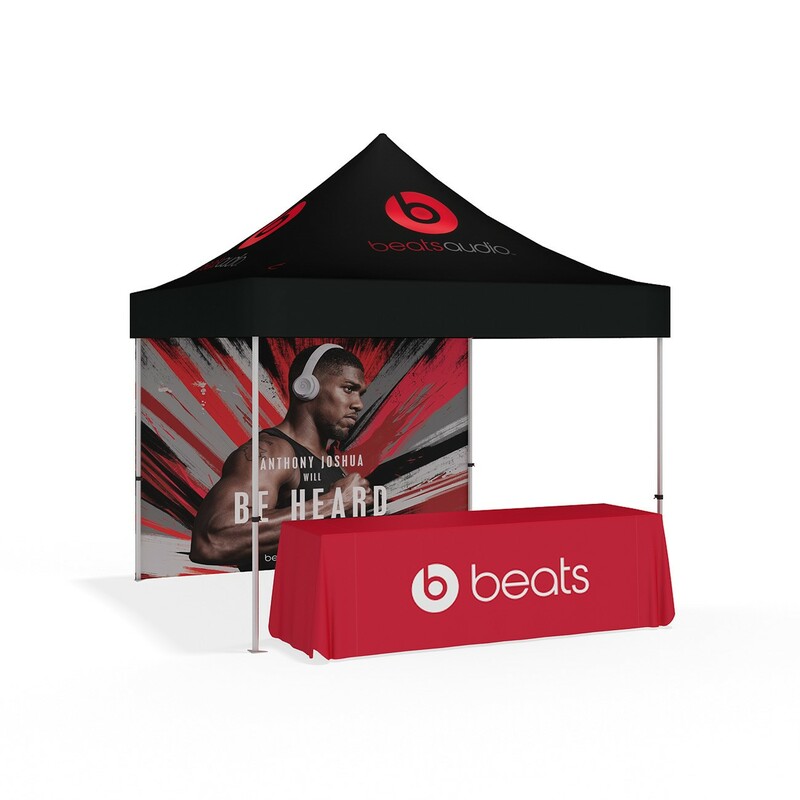 These include traditional pop-up branded event gazebo’s, inflatable event dome gazebo’s and umbrella’s. We use dye-sublimation printing technology, one that produces unmatched vibrancy and precision. Dye-sublimation is a printing-process using natural inks that are embedded in the fabric to produce detailed graphics. They don’t crack or crease and are environmentally friendly. But best of all they don’t compromise on colour, being more colourful and vibrant than other printing techniques. 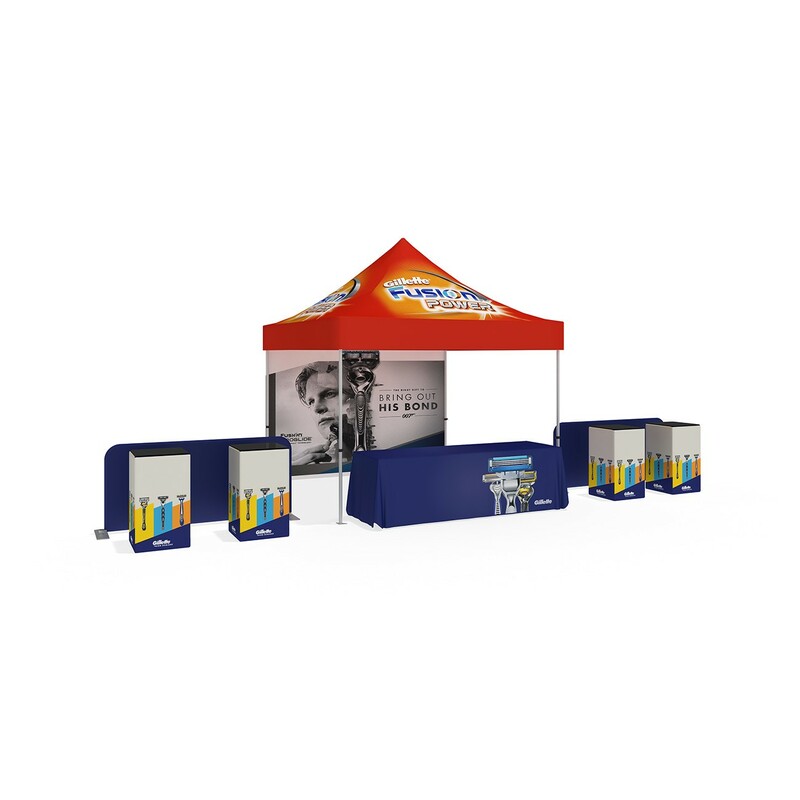 The illustrated outdoor display package 12 demonstrates the modularity of the Alfresco outdoor range and how a selection of branded collateral used as a collective and branded cohesively can go a long way to create your next outdoor display brand experience.